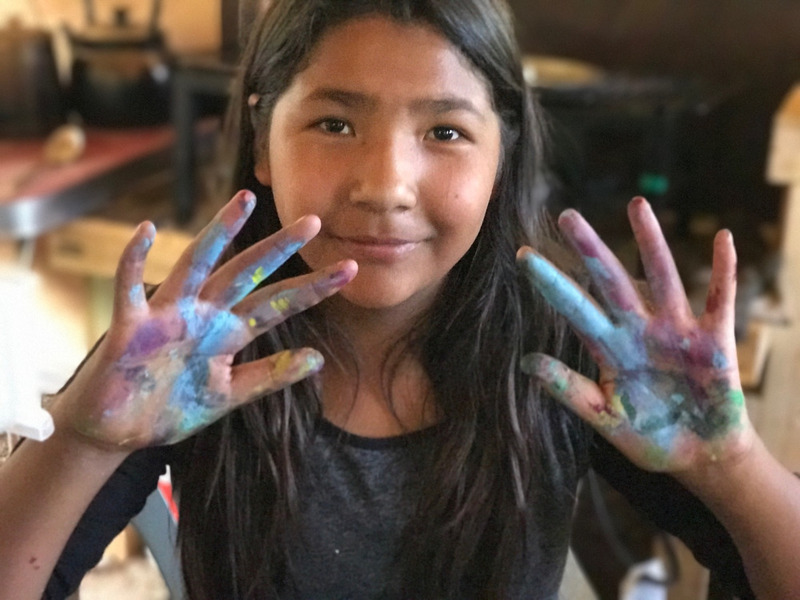 Nimkii Aazhibikong is an Ojibway language immersion camp for youth that is working towards producing the next generation of fluent speakers on the land. We are a grassroots bunch of folks who are doing this without government funding. 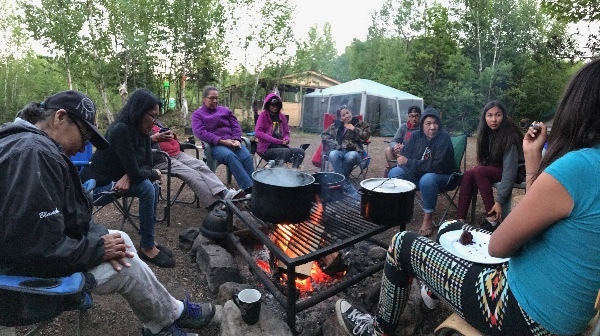 Winter is going to approach soon and we are determined to prepare for Winter Camp at Nimkii Aazhibikong. We cannot afford to take the winter off with our language efforts. The Elders want us to keep going. The youth also want to keep going. We see the absolute importance of not giving up and going full force ahead into the ice and snow. 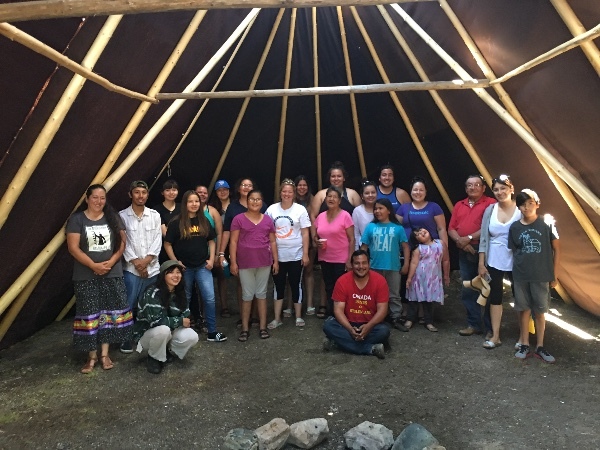 This campaign is to raise funds to build and winterize our language cabin and to build two small cabins for Elders Mary Wemigwans and Elder Linda Toulouse, who are volunteering all their time to be at camp full time to help us and the young people learn. These grandmas will be the first ones to get cabins at Nimkii Aazhibikong. We also accept direct donations to Onaman Collective via etransfer or paypal to onamancollective (at) gmail (dot) com, or by mail to Onaman Collective, P.O. Box 215, Serpent River First Nation, ON, P0P 1B0. GoFundMe Support needs me to clarify my role in this campaign so I will do so here. I, Christi Belcourt am the administrator of this account and a signing authority and lead organizer for Onaman Collective. 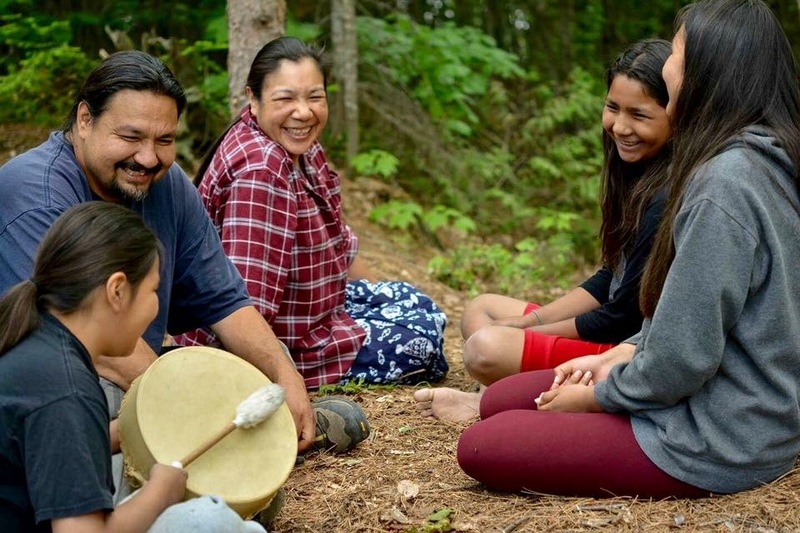 Onaman Collective is a non-profit that is focuses on ways to bring Elders and youth on the land for language, arts and traditional Indigenous knowledge. 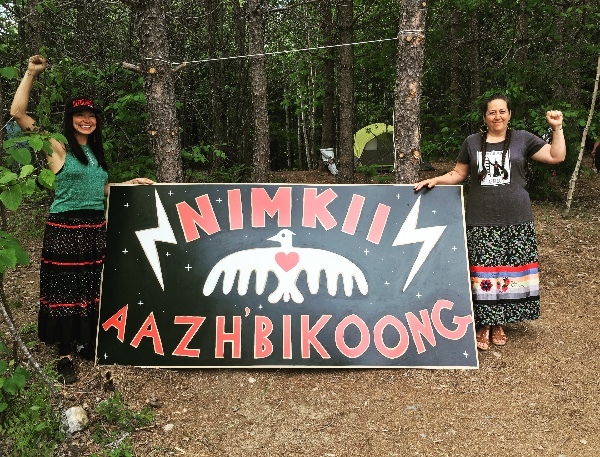 All funds from this go fund me are being deposited into Onaman Collective's account and 100% are being used towards the Nimkii Aazhibikong Language Camp as described in this campaign. In order to register and withdraw funds, they are being withdrawn in my name into the Onaman Collective account. The funds will stay within the Onaman Collective account and will be used to purchase the supplies to winterize our camp. Almost to the halfway point! Thank you so much everyone for donating. 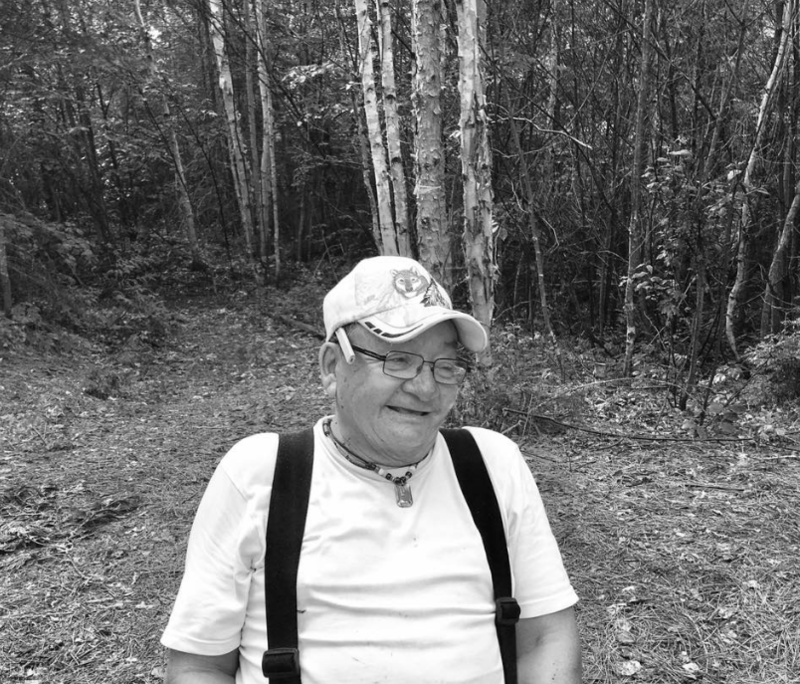 We have a lot to do in the coming months to winterize the language camp, build two grandmas their cabins, winterize the cook shack etc. So many people are coming to visit. Some stay longer than others and generally people come to help build. Right now we are in work and building mode and need all the help we can get. So thank you again for all your kindness and supoort! 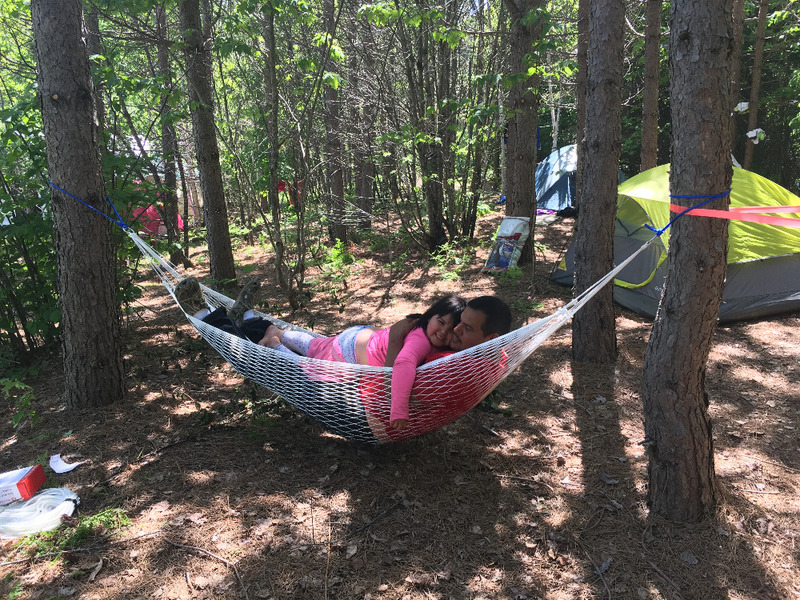 Thank you, Hiy Hiy and Miigwetch everyone who has donated so far!! The language is important!! This camp is the dream of so many and we are doing it! We appreciate each and every donation. There is no salaries and no overhead, so 100% of this is going directly to costs to winterize and build the cabins for the grandmas. One of them told us she is considering living there year round. She is a language speaker and teacher. We as so lucky to have her with us and want to do everything we can to support the young people committed to learning their language. Please help by sharing this if you can.